Anaemia refers to a deficiency of haemoglobin (Hb) in the blood. It is a common problem in pregnancy, estimated to affect 38% of women worldwide. UK guidelines define anaemia in pregnancy as a first trimester haemoglobin less than 110 g/l, second/third trimester Hb less than 105 g/l, or a postpartum Hb less than 100 g/l. During pregnancy, both the plasma volume and red blood cell mass increase. However, the plasma volume increases disproportionately – resulting in a haemodilution effect. This predisposes pregnant women to developing anaemia. In this article, we shall look at the causes, clinical features, and management of anaemia during pregnancy. Common symptoms of anaemia include dizziness, fatigue and dyspnoea. However, it should be noted that these are also all features of a normal pregnancy. Anaemia can be asymptomatic, and may only be detected on a full blood count. On examination, the patient may have pallor (best identified in the mucosa of the tongue and mouth). Less common features include koilonychia (spoon-shaped nails) and angular cheilitis (ulceration at the corners of the mouth). 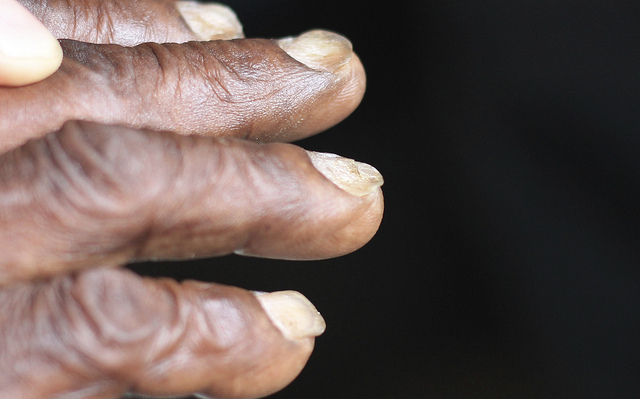 Fig 1 – Koilonychia (spoon-shaped nails), a rare sign of anaemia. Table 1 – The differential diagnoses for anaemia. Note that the cut-offs for MCV will vary between different laboratories. The principle investigation in anaemia is a full blood count, assessing the haemoglobin level and mean corpuscular volume. 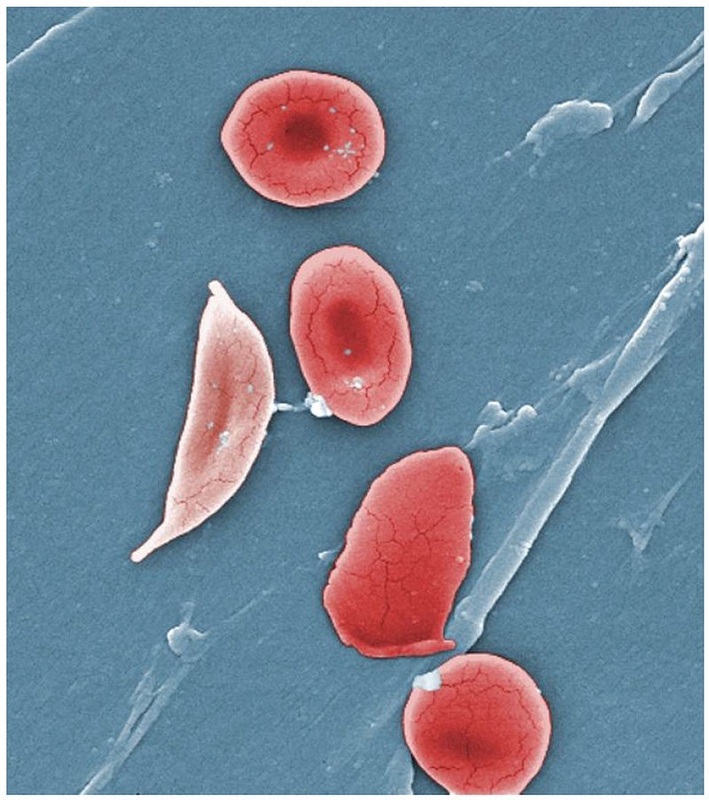 Fig 2 – Coloured scanning electron micrograph, showing a sickled red blood cell. Serum ferritin is not routinely measured – even in cases where iron deficiency anaemia is suspected. One exception to this is in areas with a high prevalence of haemoglobinopathies. Haemoglobinopathy screening should be considered in patients with confirmed anaemia and an unknown haemoglobinopathy status. Folate deficiency– serum folate (<7 nmol/L indicates deficiency – although this may vary between different laboratories). Beta thalassaemia– haemoglobin electrophoresis (HbA2 >3.5% is diagnostic). Sickle cell disease– haemoglobin electrophoresis (HbA is absent, 80-95% HbSS and 2-20% HbF). In the UK, it is recommended that all pregnant women are screened for anaemia at booking and at 28 weeks of gestation. In multiple pregnancies, additional screening should be performed at 20-28 weeks. If the anaemia is micro- or normocytic, then the most likely cause is iron deficiency. In these women, a trial of oral iron (100-200mg) should be considered as first line management, and as a diagnostic test. A full blood count should be repeated after two weeks of treatment, examining for an increase in haemoglobin. A parental iron infusion (Ferinject®) should be considered if compliance is poor or there is evidence of malabsorption. Folate deficiency– folate supplementation; usually 5mg folic acid once daily. This can be increased up to three times a day if required. Beta thalassaemia– folate supplementation and blood transfusions as required; aiming for a Hb of 80g/L during pregnancy, and 100g/L at delivery (depending on symptoms). Sickle cell disease– folate supplementation and iron supplementation if there is laboratory evidence of iron deficiency. Anaemia is a common problem in pregnancy. Clinical features include dizziness, fatigue and dyspnoea, but patients may be asymptomatic. Hb and MCV are key investigations. Iron deficiency anaemia should be initially treated with a diagnostic trial of oral iron supplementation. Which of the following is NOT a risk factor for anaemia in pregnancy? Which of the following terms describes spoon-shaped nails? Which condition produces a macrocytic anaemia? Which condition produces a microcytic anaemia? What is the standard initial treatment for iron deficiency anaemia?